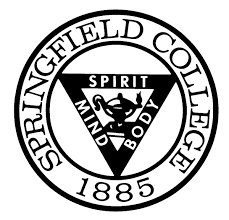 A broad range of educational opportunities, both undergraduate and graduate, are offered at the main campus in Springfield, Mass., and at its School of Human Services campuses around the country. Doctoral programs are offered in physical education, physical therapy, and psychology.With its foundation of academic excellence and rich athletic heritage, the College prepares students with real-world leadership skills for tomorrow's careers, including those in the health sciences, human and social services, sport management and movement studies, business, education, and the arts and sciences. Its low student-to-faculty ratio and experiential learning opportunities provide students with the skills they need to become leaders in a wide range of human-helping professions.Welcome to the Springfield College veterans̠ resources website. The College understands the importance of providing a caring and supportive environment for veterans, reservists, and their families. Springfield College is committed to facilitating communication among campus offices that serve veterans and reservists.